Our 2019 “Knowing Your Home” series is really heating up. Need proof? Look no further than our most recent home maintenance workshop. More than 30 attendees convened for LakewoodAlive’s “Knowing Your Home: All About Fireplaces” free workshop on March 21. 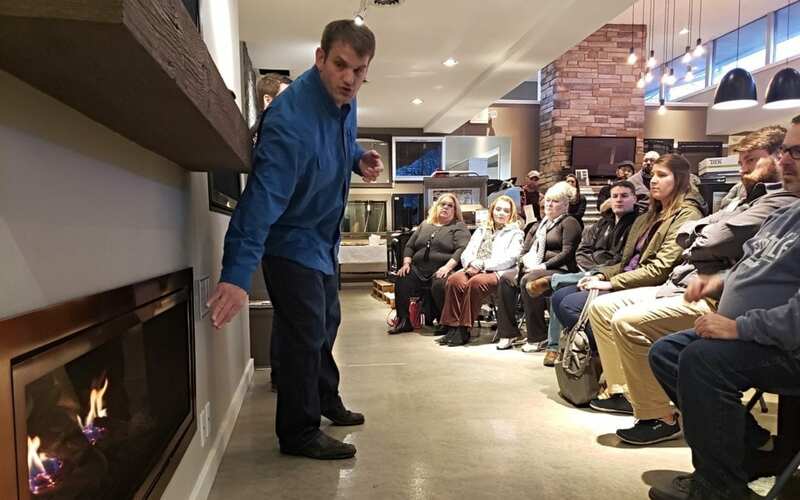 Led by our friends at The Hearth Shop, this workshop sought to address everything homeowners need to know about their fireplaces, including maintenance, safety and upgrade options. Now in its sixth year, LakewoodAlive’s Knowing Your Home workshop series draws hundreds of attendees annually to learn home maintenance best practices. Our workshop series is generously supported by: Citizens Bank, City of Lakewood, Cleveland Lumber Company and First Federal Lakewood. 1. Practice proper fireplace maintenance. Basic gas fireplace maintenance involves making sure you have enough sand and embers to make your home’s fireplace functional. It’s recommended to have your fireplace cleaned and serviced every two years, and to have your wood-burning fireplace cleaned every one to two years, depending on your frequency of use. Stick to burning dry wood only, as attempting to burn wet wood can be potentially damaging to your fireplace system. In addition to traditional wood-burning fireplaces, both gas and electric fireplaces have become commonplace and require less upkeep. Gas fireplaces – which can be vented or vent-free – burn natural gas instead of wood and can be turned on and off with the push of a button. Electric fireplaces are easy to incorporate into any space because they don’t have a flame or require venting. Gas fireplaces burn natural gas and can be turned on and off with the push of a button. 3. Consider converting to a vent-free gas fireplace. Vent-free is the most commonly-sold gas fireplace option today. While early versions of this technology often suffered from poor construction and improper installation, vent-free fireplaces now represent a great way to achieve both ambiance and a secondary heat source with your home’s new fireplace. Although not intended to be a primary source of heat, vent-free fireplaces are efficient enough to complement your furnace while potentially lowering your gas bill. If you’re considering installing or converting a fireplace, you must consider the size of the room in question. You need a properly-sized room to maximize the heat your fireplace can produce, and you generally cannot exceed 40,000 BTUs of heat with a vent-free fireplace. Carbon monoxide detectors are strongly recommended whenever you utilize a gas product, and gas fireplaces are no exception. Thankfully, most vent-free fireplace options include built-in oxygen depletion sensors for safety purposes. When it comes to selecting your gas fireplace logs, you have two basic options: ceramic or concrete. Whereas ceramic logs are known for their realistic burn, glow and heat, concrete logs are reputable for their intricate detail and durability. 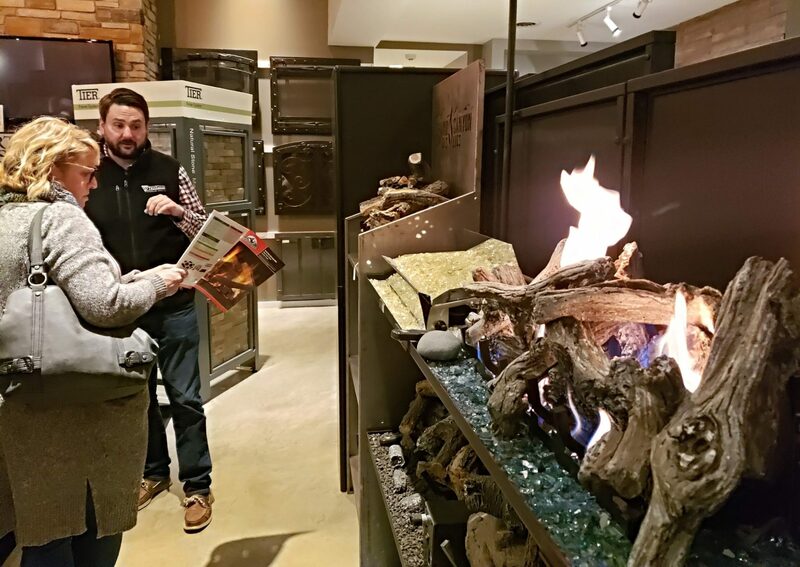 Which option is right for you will depend on your personal preference, as well as what you hope to accomplish with your home’s fireplace.